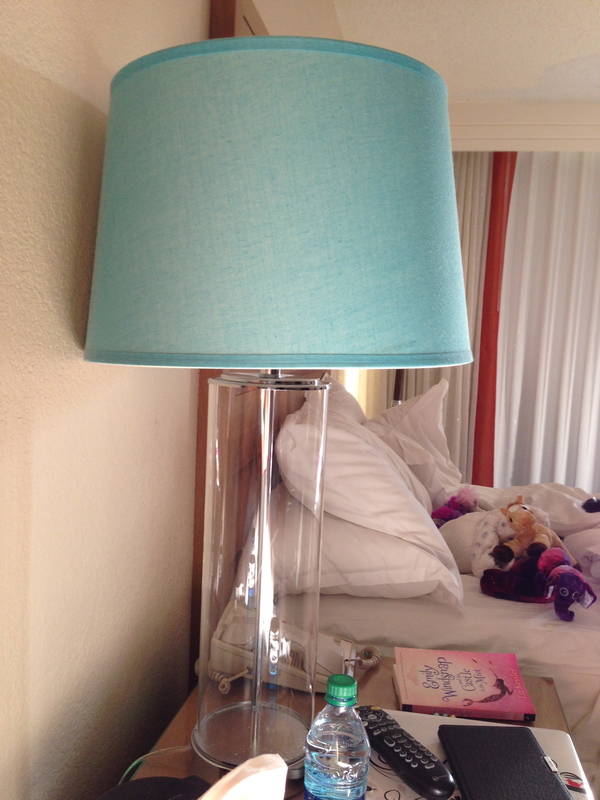 On a trip for my birthday last November it just so happened that the lampshades were the most soothing shade of blue. 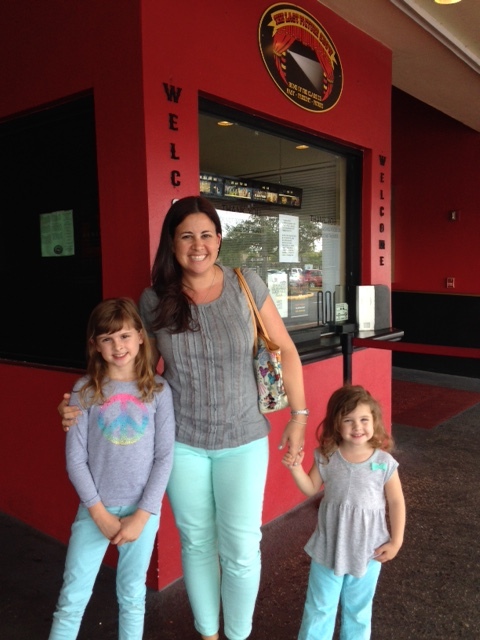 I know I slept better because they were so beautiful… is that crazy? I swear I could run faster if I had these sneakers… especially if I was running to Tiffany’s IN these sneakers! And this car. I ❤ this car. 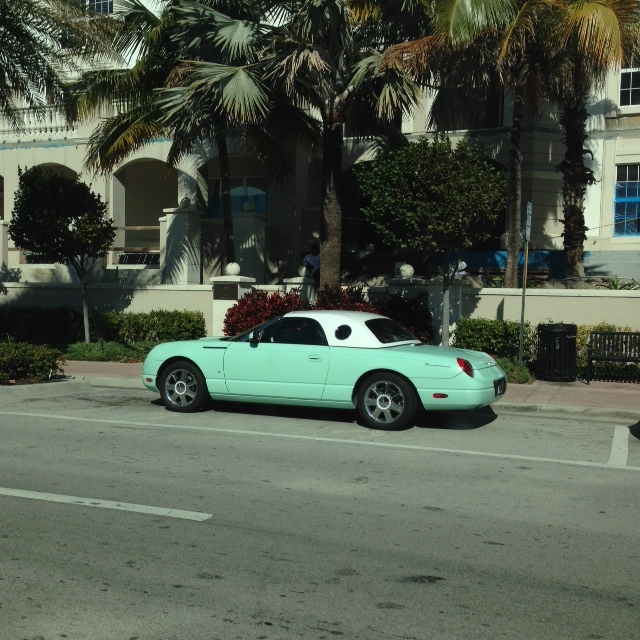 I hope one day to be a gray-haired old lady cruising down the highway in something spunky like this! This chandelier was hanging in the Tiffany’s store on 5th Avenue in New York City. I really, really love this and would love to have something like this hanging over my dining room table. 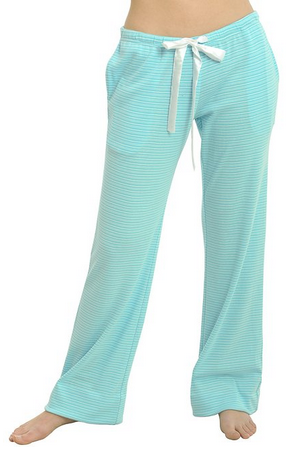 I found these pajama pants on Amazon and kinda had to have them… the drawstring is actually a white satin ribbon, which is about as close to Tiffany-themed jammies as I can imagine! This past Christmas brought a little more Tiffany blue into my world all on it’s own. Jay found a killer deal on a Kitchenaid mixer, something that I’d been wanting since we got married. Emily picked out some new earbuds in my favorite color, and I received a new copy of Breakfast at Tiffany’s. There was also a pretty blue box in that white satin ribbon under the tree – Jay barely managed to rack up enough flyer miles to qualify for a gift card, but he did – and we are going shopping on our next date night! I recently told a friend at church that every so often I feel like I might be overdoing it – that I wear variations of Tiffany blue too much and maybe should consider resisting the next purchase I want to make that has anything to do with it. She told me no way – this is my signature color. Posted in MiscellanyTagged Tiffany & Co.